For a startup to make its name in the intensely competitive market, it must have a powerful and bold website. Our startup WordPress theme is ideal to fulfil these needs and give much more to a website with its clean design, sophisticated layout and advanced functionality. 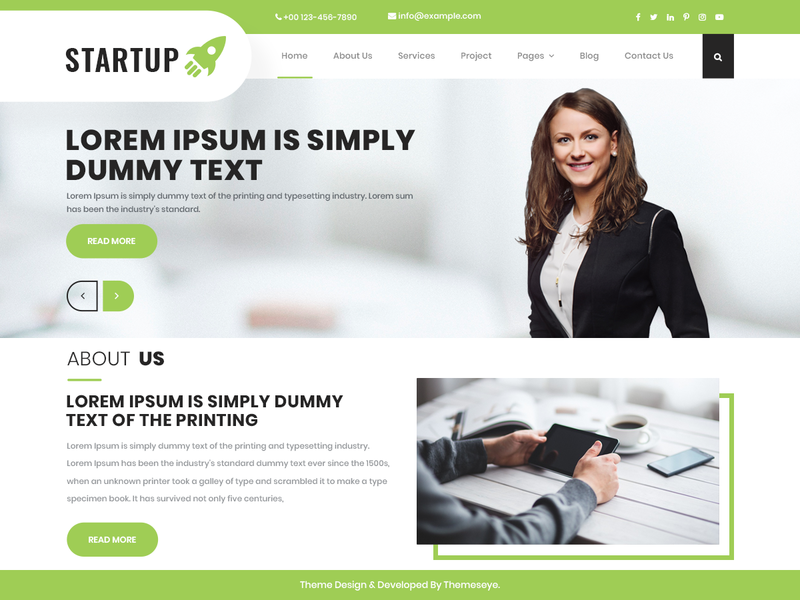 It is a multipurpose theme which is designed to become skin for diverse range of business websites and all types of startups whether it is an IT startup company, entrepreneurship, joint venture or tech startup. This fully responsive startup WordPress theme has optimized pages that load with a lightning fast speed and its SEO is well versed to rank your website higher on search engines. All the necessities of a modern theme are included in this theme like responsiveness, cross-browser compatibility, multilingualism, retina readiness, social media icons and RTL support. The best part is that it comes with friendly support and regular theme updates for one year. This startup WordPress theme has many amazing features that you will not need anything outside of it. It comes with several useful shortcodes to include functionality like multi-column layout, video and audio post, gallery, Google maps etc. without writing long lines of code; the Font Awesome icons pack specific to startup and business is provided with this theme. This startup theme is deeply customizable to get the wow look that you wish for your website without involving in the coding part. It is a complete theme with niche oriented sections predesigned like gallery, testimonial, contact form, etc.